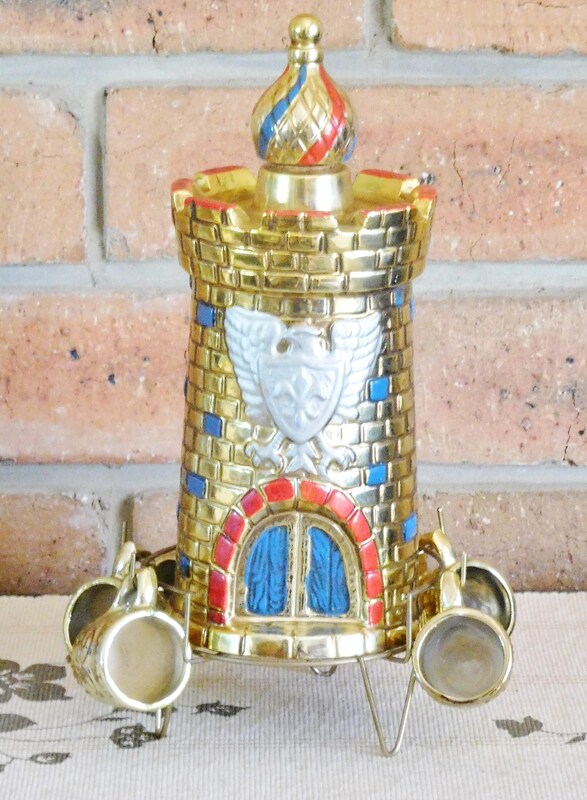 1960s vintage Japanese ceramic gold lusterware castle decanter set, 6 liqueur cups with 600ml capacity bottle and cork stopper. 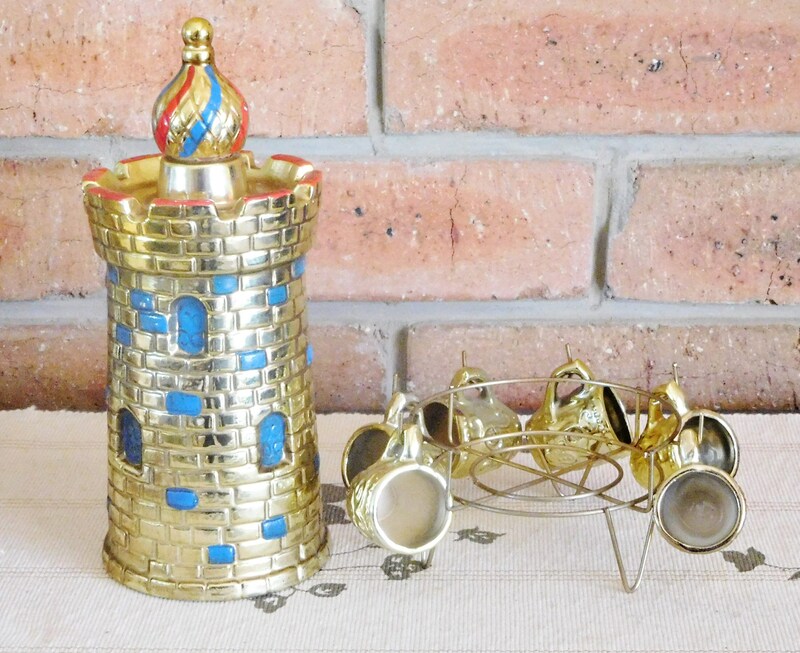 The set is in excellent condition with only extremely minor signs of wear to the gold lustre. 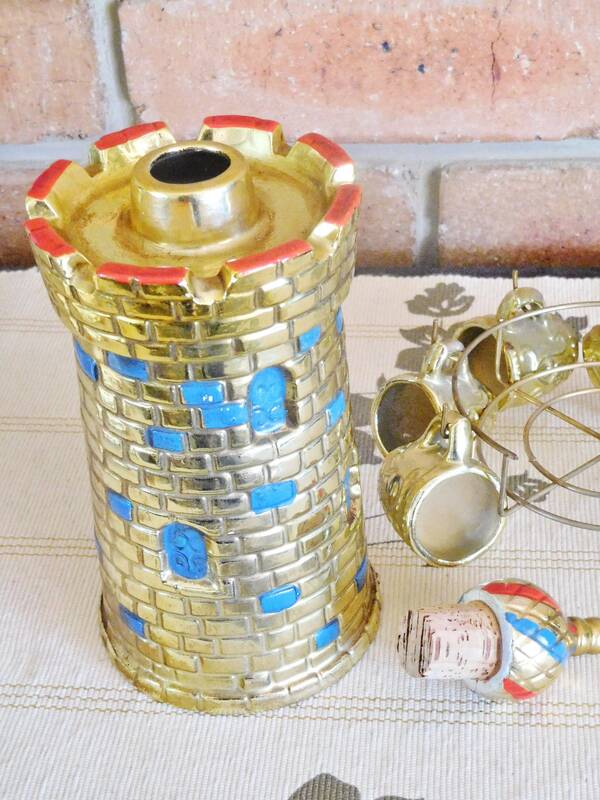 We are fairly confident in saying that, due to the pristine state of the cork and interior of the bottle, this was never used as a decanter - however it does appear to have been a treasured display piece. This would make a fantastic statement at a Game of Thrones themed party, and the ideal movie or theatre prop!